The British Gazette » Brexit: Westminster Sunset! 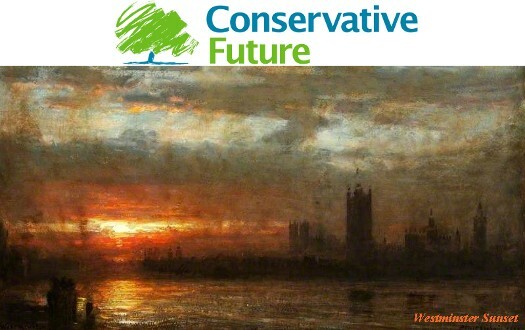 Above, Turner’s famous, Westminster Sunset. The excellent Doctor North had had his hands full for the past couple of days trying to make sense of the carrying ons of Madame Mayhem on the European stage. In his blog-post of today (http://eureferendum.com/blogview.aspx?blogno=87001), he states: “After all, the woman routinely embarrasses herself – as with her dancing displays in Africa…” That follows on from his blog-post the day before (http://eureferendum.com/blogview.aspx?blogno=87000). Comparing it with drama, Madame’s tactics are part of what we could call a farce, playing at the Palace of Westminster with her and her supporters being utterly incompetent – or a dark and sinister thriller where the plot seemingly is over the top like the film “Defence of the Realm”. The plot being that British intelligence murdered a journalist with a bomb in a flat to try and stop a news report about a young criminal being accidentally killed whilst running across the runway of a US airbase causing a USAF F-111 that was armed with nuclear missiles from crashing. Completely OTT! “Brexit” then has now become the stuff of conspiracy theories with the authors (including your Editor) trying to discern the intent which may lie behind seemingly bizarre actions. We have speculated that there may be a plot to force the UK back into the EU to cause it to become a member of the Eurozone and the Schengen Area. That the backers of this conspiracy are prepared – or are seeking to exploit – the short term economic disruption for the sake of securing the long term result of a UK where Sterling is replaced by the Euro and where companies can employ all manner of migrant workers without restriction. OR – it could be the opposite! It seems fantastic that a group of Thatcherite Tories should devise a scheme whereby the UK suffers the huge disruption of a hard Brexit to bring about a solution offered by that well known most fair minded of men, Donald Trump, of the UK effectively becoming the 51st state of the US of A! Do such people SERIOUSLY think their party could ever survive after the dismantling of the tax-payer funded NHS being replaced by a privatised US style, insurance company funded health care system? I mean, that’s as utterly barmy as thinking that a US President could ever persuade Congress to enact gun control (and deprivation) legislation along the lines that we have in Dear Old Blighty? Such would be so OTT as to cast doubt on their mental health!